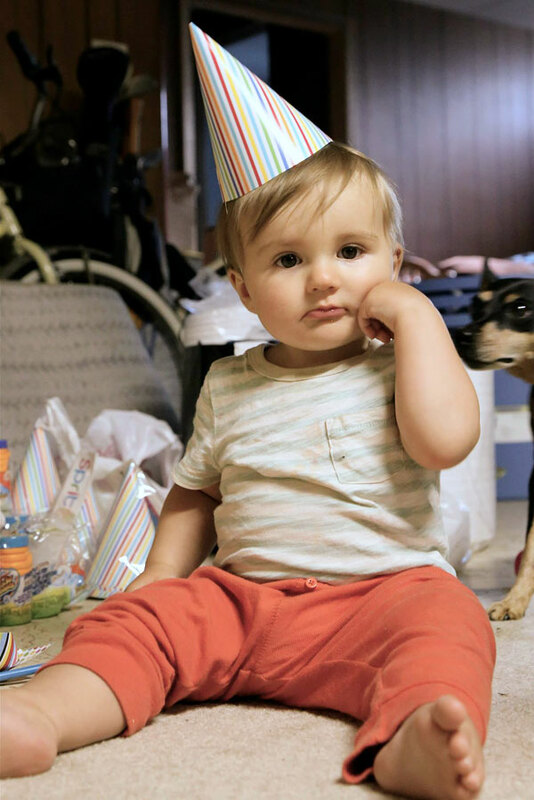 Happy first birthday to my grand-nephew! Photo by his father, Steve. I continued looking at the photo, and noticed my arm on the left side of the image (cropped out of the photo here). Wait, my arm? Then I remembered that my nephew Steve took a bunch of photos with my camera! I’m glad to have the images, but it means that I have no really good ones that I’ve taken. I must have lost my child-photography chops! I’ll just have to keep trying. 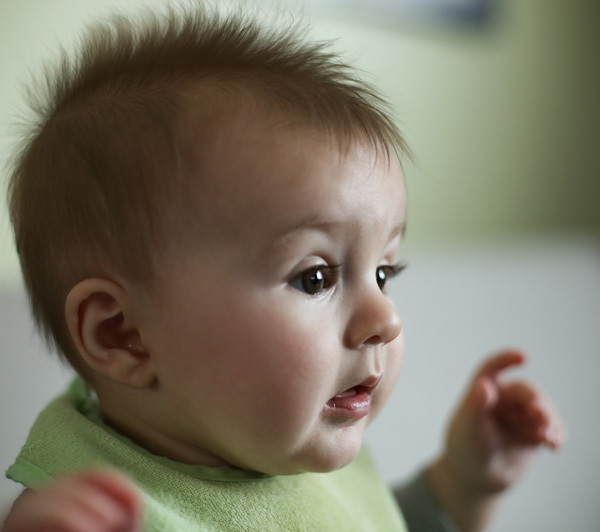 And in the meantime, Steve is taking and sharing the most amazing photos of my great-nephew! Among my family and friends, September is the month most densely packed with birthdays. Last weekend was my mom’s birthday as I said in my last post, and yesterday I had the pleasure of attend Lori and Rustin’s son’s birthday. The party was at one of those family amusement places designed for this purpose. 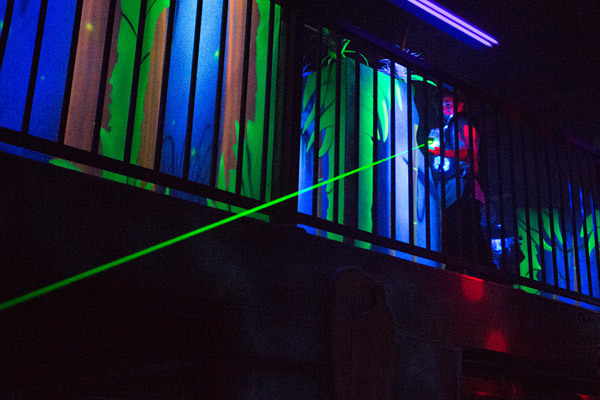 They’ve got laser tag, bumper cars, a climbing wall, all sorts of arcade games, and similar such activities. I took pictures and with the extended ISO range of the 5D3 (as compared to the 30D, at least), I was eager to take some photos in conditions that were too dark for my previous camera. 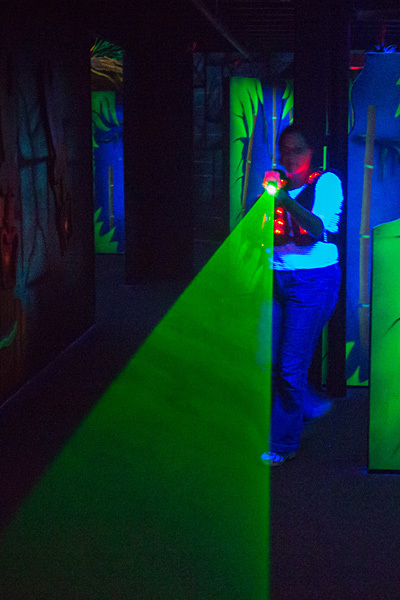 Not only was there a lack of light, but what little light I had in the laser tag area worked against me. Fluorescent black light was the only light source. I’ll never complain about tungsten lighting again! Lori stood beside me because she decided to take a break from the mayhem. Despite it not earning her any points, she felt free to ‘fill me with photons’ as she approached a moment earlier. The image to the right is quite soft because the shutter speed is 1/20 of a second, without image stabilization. The photo isn’t bad, considering. This also explains why the beam expands so much as it crosses the room. The slow shutter allows plenty of time to capture any movement of the beam during the exposure. Except the shutter speed, all the exposure settings are the same as the previous image. The kids all had fun, and that was the most important thing. I took some photos that I’m pleased with and that’s nice, too.